Black actors are blowin’ up, right? It’s the golden age of black movie stars, right? Or are we about to witness yet another example of the Denzel Effect? 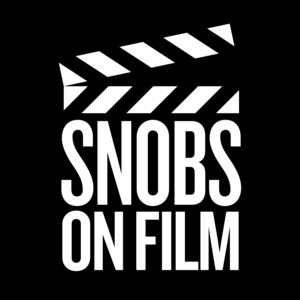 Join us for the latest episode of the Snobs On Film podcast as we invite actor Omar Dorsey to help us answer an intriguing question: Why can there be only one black megastar in Hollywood at a time? Has the spy genre gone stale? SOF takes a look at the past and present of the classic spy thriller and wonders about its future. From Bond to Bourne, and from Smiley to Red Sparrow, the crew debates the finer points of cinematic espionage and tries to determine if our favorite spies are headed toward a requiem or a renaissance. The conviction of Bill Cosby delivered a final blow to the status the legendary comic and actor owned in pop culture, specifically black pop culture. As the media sifts through the ashes of his implosion, SOF asks: what the hell do we do with Bill Cosby? Ten years, six Infinity Stones, and one weekend box office total that brought in so much cash Thanos can probably afford to get his chin fixed. Was Avengers: Infinity War everything we thought it would be, or more than we bargained for? Ever wanted to get your hands on a TV or movie franchise and do things your way? So have we. First up on SOF Takeover? The Terminator franchise. From Wakanda to Zamunda and the many incarnations of a mostly whitewashed Egypt, why does Hollywood feel the need to invent a fictitious Africa, and how does that impact our interest in the stories that take place there? Are streaming services such as Netflix and Amazon destined to become our box office future? Is the theater experience in danger of becoming a thing of the past? Episode 7: Has She Finally Gotten It? With the success of Spike Lee's Netflix series based on his 1986 film of the same name, SOF asks: does the success of "She's Gotta Have It? ", HBO's "Insecure" and BET's "Being Mary Jane" signal the advent of modern and authentic black female representation on television? As moviegoers everywhere gear up for the release of the newest chapter in the Star Wars saga, SOF previews Rian Johnson's "The Last Jedi" while taking a moment to discuss and debate the impact of "The Force Awakens", "The Clone Wars", and the future of a franchise once written off as a thing of the past. Snobs On Film takes a look at the first half of 'Mindhunter'—the psychological-thriller that quietly premiered on the streaming service—to help you decide whether to add it to your list or search for better prey. Marvel Studio’s third Thor film recently dropped, marking what could be considered the cinematic universe’s last hurrah before things get ultra-serious in the MCU with next year’s ‘Black Panther’ and 'Infinity War'. Snobs On Film gives you a full review of this Taika Waititi-helmed fall blockbuster.